"What Business Can Learn From Sport Psychology" is available in print and eBook formats | Just $9.99 on Kindle. As a professional, you are extremely skilled at what you do. We’d bet that you are able to perform your skills without thinking sometimes, like you are on autopilot. Consider driving for a moment. When you get in your car you are about to endeavour upon an extremely complicated and complex process involving the coordination of mind and body to perform intricate movements safely and proficiently. 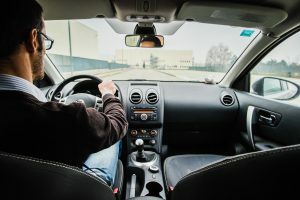 But if we told you that you had to take your driving test again to be able to continue driving – to try to make sure your performance is flawless – you will probably abandon this automatic process and instead break the skill down into its component parts. Are my hands in the right place? Have I checked my mirrors? Am I in the right lane? When do I indicate? The trouble is, by breaking the skill down, you are now performing in a way that is very odd to your brain and body. You are an expert, remember, and all of this intricate skill knowledge is not needed anymore. So what is normally a smooth and proficient performance becomes an uncoordinated mess. You overthought it. Sport psychologists have recognized for a long time that one of the main reasons athletes choke under pressure is because they overthink skill execution. By choking, we mean that your performances take a sudden and dramatic nosedive compared to your normal functioning due to perceived pressure. In business too, overthinking is problematic. Performance is so important in that potentially career-changing interview that many professionals take extra care to say the right things, at the right time, in the right way. Herein lays the problem. You know how to speak, and you know how to speak professionally, but when overthinking these elements you actually disrupt the mechanics of those skills. So you end up blathering and stuttering, with your voice quivering unnaturally. Overthinking well-rehearsed and learned skills under pressure leads to underperforming at the big event. Professor Sian Beilock of the University of Chicago is a leading expert on this phenomenon and calls it “paralysis by analysis”. [i] Beilock’s work has shown how, when under pressure, overthinking can destroy performance in tasks that would normally be quite easy. [ii] This is worrying because we spend so much time honing those presentations and pitches and it could all be undermined by being unable to get our words out or misremembering those important points. Fear not, research has also found some powerful strategies that counteract paralysis by analysis. Let’s take a look. Overthinking is so common because, when the going gets tough, we want to make sure we have got all of those little component parts right. When working with athletes suffering from paralysis by analysis, the aim is to help them simplify their thoughts into a single focus – moments before the execution of a skill. [iii] This single focus should be relevant to the activity being attempted. 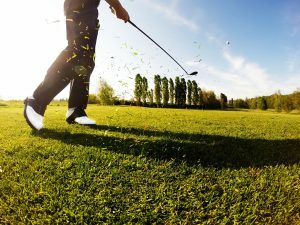 For example, a golfer may use some key ‘swing thoughts’ that direct the action of the swing without being too prescriptive. For example they might use the word “smooth” as they approach a drive, or “nice n easy” when putting. You can do the same with your performance activities. So let’s take a new client meeting for example. Making a good first impression is important and you can read hundreds of books about how to stand, greet, shake hands, say the right things, make eye contact, walk, smile… the list goes on. All valuable information that should be considered when approaching a client meeting. However, in that moment, as the CEO approaches you with hand out-stretched for your first meeting, can you really focus on all of that stuff and still function as a complex human being going into a complicated and pressured performance environment? Probably not. So instead, you can grab all of that important ‘first impression’ stuff you need to do and bundle it into a neat package and give it a label. This label should be a) meaningful to you, and b) an obvious indication as to what it’s for. A useful label might be “assertive” or “confident” or could even be a word that relates to somebody who you wish to emulate or model in this situation, such as “My CEO” or “The Mayor”. Remember, this is all about making a good first impression, which in a new client meeting is largely about how you behave. Confident, composed, and assertive actions lead to confident, composed, and assertive performances, which make a good impression. You can apply this principle to any performance situation you are faced with. Just bundle the component parts and give that package of actions and thoughts a meaningful label. Simplify the complexity of performance under pressure. We see it so often. You are the person of choice for your team when it comes to presentations, and once again you are called upon to deliver a convincing and powerful pitch. You can be relied on to assertively present a convincing case, get the audience on your side, and put across your point poignantly. It’s the day of the pitch and as you go over your notes for the last time and prepare, you feel nervous, this is an important pitch for you and your company. Your manager says three simple words to you that have been the curse of many a professional: “Don’t mess up”. These words ring and echo in your mind as you walk into the boardroom in front of the clients, “Don’t mess up, whatever you do,” you say to yourself. As you ready yourself to give the opening statement, you remind yourself, “Don’t let the moment get to you, whatever you do don’t mess up”. Then you open your mouth and deliver a babbled and stumbling introduction, setting you up nicely for a nervous and jerky fifteen minute presentation. You emerge from the pitch bemused in the midst of disappointed looks from your manager and team. “What happened?” you ponder. The above is probably enough to give some of you nightmares. In fact, it was anxiety-provoking even writing it! But it is quite common to see failure snatched from the jaws of victory because, at the crucial moment, one’s focus turns to potential failure because of a simple “don’t” statement. One of the most popular avoidance goals we hear from professionals is “Don’t mess up” or “Don’t fail”. There are a huge variety of peoples’ “don’ts” but typically they reflect the exact occurrence the person wants to avoid. For example, prior to a big presentation many professionals say to themselves “Don’t stutter” or even worse “Don’t worry about the audience”. You see, when under pressure the brain doesn’t really understand the word “don’t”. Oddly, “don’t” means “do” when we are stressed. Surely in highly important performance situations it makes perfect sense to tell yourself not to fail, or not to do the things that would undermine your performance? Unfortunately, the late Daniel M. Wegner, former Professor of Psychology at Harvard found that telling yourself not to do something actually and ironically increases the likelihood of doing it. He famously used the white bear thought experiment[iv] to illustrate this inconvenient truth, in which we are told not to think of a white bear, an impossible task because as soon as the bear enters our minds – trying to erase it is futile. Try it for yourself. Don’t think of a white bear. Whatever you do don’t think of a white bear. A conscious process (in your awareness) where you search your mind and your surroundings for items consistent with the intended goal state (e.g., recognizing familiar surroundings). An unconscious process where you ensure any threats (e.g., size of audience) are noticed and handled. The difference between one and two is not as simple as ‘good’ and ‘bad’. The second process is crucial for us to function in everyday life, as the ability to recognize threats can save our lives and stop us from making literally fatal mistakes in some contexts (e.g., deciding when to cross the street when traffic is free flowing). But in performance situations, when we are anxious and our mental resources are being used up by worry and concern, this second unconscious process takes charge. You see, because the first process is a conscious one, it needs some resources in order to work properly. If these resources have been stolen by anxiety, the process fails. Because the second process is an unconscious one, it is not affected by anxiety and thus has free reign over our focus of attention. Therefore your ability to focus on aspects that will help you perform is impaired, and your ability to focus on aspects that will lead to failure is enhanced. Avoid ironic processes. Avoid the use of ‘don’t’ statements and focus on things you need to do to perform well. So, circumstances where your mind is full of worry (especially), or when you are feeling pressured, sees ironic processes take over, leading you to think and act in ways that are directly opposed to your goals. With professionals we work with we demonstrate this effect by having them not think of a white bear, or pink elephant, for 60 seconds (under time pressure). During this task we ask them to mark a piece of paper every time they do think of a white bear or pink elephant. In one minute, it’s very hard for them to get the unwanted thought out of their heads and they are astonished at their inability to complete this task successfully. There are usually numerous marks on the paper. Then, after some time, we ask the client to think about whatever they want for a further minute. Interestingly, the white bear emerges again. Suppressing the white bear actually makes the image stronger and more persistent in the mind (this is known as the rebound effect). But there are ways to combat this unfortunate mental process. Next we will detail some tried and tested strategies that can combat ironic processes in those all-important performance situations. Think of a red car. The difficult thing about trying to combat ironic processes is that they are natural and important mental functions, therefore effort is required to shut them down. In other words, if producing a fluent and proficient opening statement is your goal, then focus only on doing that and not on the consequences of not doing so. In the thought experiment where we encouraged you not to think of a white bear, people fail in this task because they are so focused on not thinking about the white bear. People are more successful if they are given an alternative to focus on. We have used a red car for this purpose, in line with Professor Wegner’s work. So instead of merely not thinking of a white bear, we encourage the person to think of a red car when they have the urge to think of a white bear. The white bear still crops up every now and again. Later, when we ask the person to spend a minute thinking about anything they want – the white bear is likely to pop into the mind from time to time, but much less frequently. Replacing the white bear with a red car lessens the effects of ironic processes. The white bear/red car has implications for preparing for your big performance. When those unwanted thoughts crop up in your mind, which they surely will, replace them with images and thoughts of what you need to do to succeed. To make sure you are able to do this, plan your thoughts so that when an unwanted thought crops up, you have a ready replacement for it. So, in performance situations, instead of trying not to think of potential failures, visualize yourself doing the things you need to do to perform well. This might involve running your opening statement over in your head, or seeing yourself meeting and greeting your audience confidently and assertively. While it is extremely difficult to completely rid the mind of potential negative consequences, being able to focus only on what you need to do is one of the best ways to limit the effects of ironic processes. The ‘Empty your Head’ strategy is a good way to deal with negative thoughts in the lead-up to your performance. Instead of trying not to worry, or trying to suppress concerns about a performance, it is more beneficial to express these worries and concerns. Indeed, supressing worries and concerns can lead to worrying more about that event, and can also negatively affect sleep quality. [vii] By expressing these unwanted and negative thoughts you are removing the need to suppress them. So in performance situations you are less likely to experience a rebound effect (this is when the supressed thought crops up later just when you don’t want it to) because you have not supressed any unwanted thoughts in the first place. To express your unwanted thoughts, write them down. Write down exactly what is on your mind on some paper: your fears and concerns, the negative consequences and all. Then read what you have written, rip the paper up, and throw it in the bin. Other similar strategies include using expressive writing techniques such as writing short stories about your worries and also writing funny poems about them. Research suggests that this can reduce the invasiveness of unwanted thoughts and feelings of anxiety. By not suppressing those unwanted thoughts, you are taking power away from ironic processes. As discussed above, with ironic processes – one trick is not to suppress your thoughts, but to let them flow into your head and play-out unrestricted. However, there is an important rule you need to follow. It would be unwise to let unwanted thoughts run free on the day of your performance, or even the night before. Instead, make time in the days leading up to your performance to think about potential failure and even let your mind drift back to past failures. As you think, you may experience a couple of things. First, you may start to realize that, actually, it wasn’t as bad as you first thought and that you were able to cope with the setback anyway. After all, despite your previous failure, you are still here doing what you are doing and have probably learned a lot from the experience. You might even remind yourself that your heroes and role models have failed on their way to success and although you might have failed many times – you have survived. Second, by thinking about the unwanted experience, that is, by exposing yourself to an outcome that you want to avoid, you may actually fear that outcome less. This is known as desensitization. In essence, because you are making yourself think about the thing you fear, you learn not to fear it. The negative consequences swirl around your head and not one of those consequences involves dying(!). By accepting that failure happens and by allowing yourself to think about unwanted outcomes, you remove the need for thought suppression and therefore remove ironic processes. With strategies to combat ironic processes, there is a common theme. Take time and effort to process the unwanted thoughts you may have about your performance and do this in a controlled and structured manner. Each of the strategies involves letting your unwanted thoughts breathe, while employing either distraction (e.g., red car) or expression (writing them down or imagining them) techniques. Don’t fight a losing battle with your mind. Unwanted thoughts can be resilient so instead of supressing them, embrace and deal with them. Dr Martin Turner is a Lecturer in Sport and Exercise Psychology in the School of Psychology, Sport and Exercise at Staffordshire University. Martin is an active researcher and a Chartered practitioner psychologist. He consults with professional athletes, teams, and coaches, and works extensively with business professionals and management in multinational organizations. Dr Jamie Barker is Associate Professor of Applied Performance Psychology at Staffordshire University, and a Chartered psychologist. Jamie is an active researcher and contributor to the Centre for Sport, Health, and Exercise Research (CSHER), works with business leaders and professionals across many disciplines, and is the co-author of the acclaimed Bennion Kearny title: The Psychology of Cricket: Developing Mental Toughness, amongst others. What Business Can Learn From Sport Psychology. [i] Beilock, S. L. (2007). Choking under pressure. In R. Baumeister and K. Vohs (Eds. ), Encyclopaedia of Social Psychology. Sage Publications. [ii] Beilock, S. (2010). Choke: What the secrets of the brain reveal about getting it right when you have to. New York, NY: Simon and Schuster. [iii] Liao, C., & Masters, R. S. W. (2001). Analogy learning: A means to implicit motor learning. Journal of Sports Sciences, 19, 307-319. [iv] Wegner, D. M. (1989). 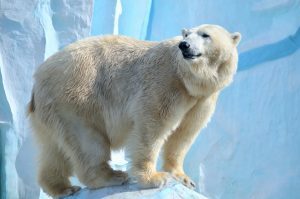 White bears and other unwanted thoughts: Suppression, obsession, and the psychology of mental control. New York: Viking/Penguin. [v] Wegner, D. M. (1994). White Bears and Other Unwanted Thoughts: Suppression, Obsession, and the Psychology of Mental Control. The Guilford Press: NY, New York. [vi] Wegner, D. M. (2011). Setting free the bears: escape from thought suppression. American Psychologist, 66, (8), 671-680.